Crock pots are so great. 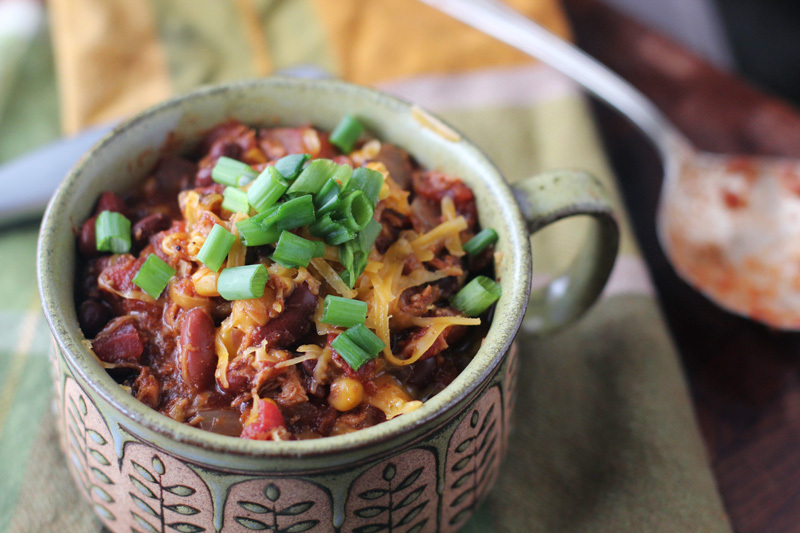 If you have a family, you can easily make enough for everybody (and crock pot recipes are usually pretty simple and low maintenance), and if you're single or only living with one other person, you get leftovers for days! Which is especially awesome if you made something particularly delicious and get to enjoy it for a whole week. And thus, I have concluded that I need to utilize my slow cooker way more than I currently do. I even have a cookbook that is just for slow cooker recipes so I really have no excuse. 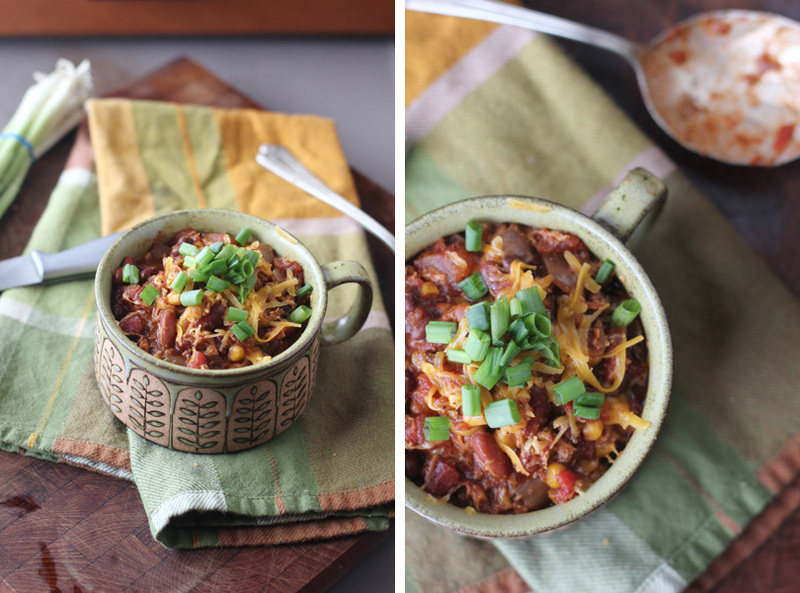 But anyway, here is a hearty, bone-warming, slow cooker chili recipe that has a little spicy kick to it! 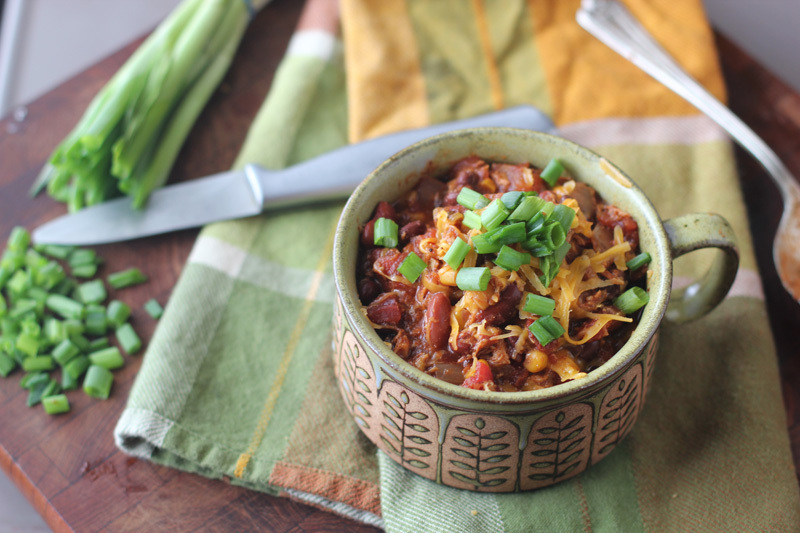 Combine beans, onion, chili peppers, corn, tomato sauce, cumin, chili powder and taco seasoning in a slow cooker. Place chicken on top and cover. Cook on low for 10 hours or on high for 6 hours. Half hour before serving, remove chicken and shred. Return chicken to slow cooker and stir in. Top with fresh cilantro and cheese (or sour cream! ).